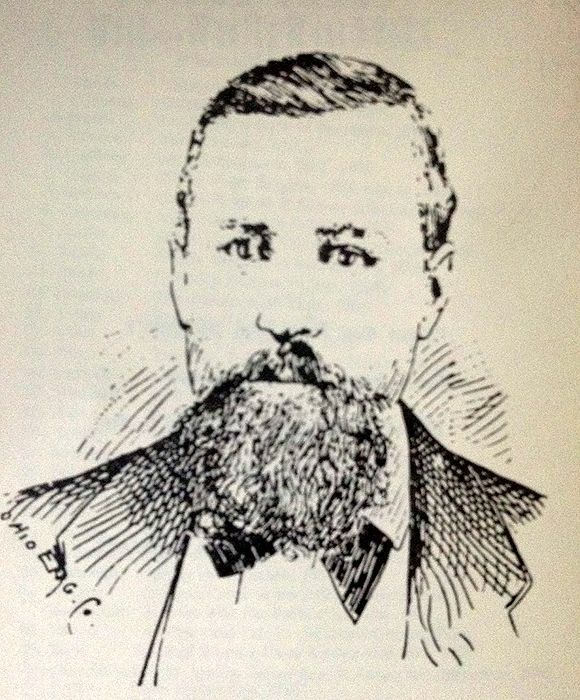 Vicente Silva was the clandestine leader of a vicious gang of Mexicans called Silva’s White Caps, or Forty Bandits, or the Society of Bandits. The gang operated out of Las Vegas, New Mexico, and Silva, an upstanding citizen and businessman, was one of the last men the people of Las Vegas would have suspected of being the promoter of thievery and murder taking place in the region. Born in Bernalillo County, New Mexico in 1845. When he grew up, he was described as tall, well built, had an intelligent face, and agreeable manners. By the time he was 20 years old, he was already working as an outlaw. In the early 1870s, he went with several other men to Wyoming where they were working as cowboys. There, he met the wife of Felipe Aguilar, a railroad laborer, and the two ran off together to Colorado. Weeks later, Aguilar’s decomposed body was found near Cheyenne, Wyoming with the head was nearly cut off and mortal cuts through the chest. No one in that area ever doubted that Felipe had come upon Silva and his wife as they were escaping and was killed. 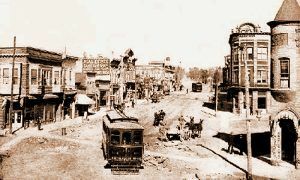 By a lucky find of a small silver mine in Southern Colorado, Silva had some capital and when he arrived in Las Vegas he opened the Imperial Saloon on the old plaza. He did a good business from the first day, as he was a gracious and agreeable host, and his saloon was finely appointed. It featured a large mahogany bar and had gorgeous gambling rooms upstairs. His saloon was frequented by cattle and sheep ranchers, wool and cattle buyers, and silver miners and quickly became the most popular saloon in San Miguel County. Silva was popular in the community as he was a charitable man, giving money to the church, the Orphans’ Home, and to the poor old people about town. At one point, he ran for Sheriff and though he didn’t win, he had a large vote. But what people didn’t know was that while Vicente ran his prosperous bar during the day, he was leading a feared outlaw gang at night. The White Caps, a mafia-like organization, sought through fence-cutting, arson, and physical assault, to drive settlers from lands that had once been common pasture. Committing a variety of crimes, the gang was one of the meanest and cruelest ever assembled in New Mexico. 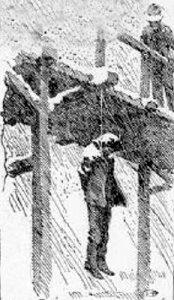 The gang held the area in a virtual stranglehold until October 1892, when they decided to hang fellow gang member Pat Maes because they believed he was going to inform on the gang. At the request of Silva, three crooked lawmen by the names of Jose Chavez y Chavez, Eugenio Alarid and Julian Trujillo lynched Patricio Maes on October 22, 1892. Several months later Silva began to fear that his brother-in-law, Gabriel Sandoval, was about to inform on the group for the lynching of Maes and he, too, was killed in February 1893 and his body mysteriously disappeared. Afterward, Silva’s wife began to ask numerous questions about her brother’s questionable disappearance. Silva soon decided that she too had to be killed. Afterward, he ordered his trusty trio of crooked lawmen to dig a grave for his wife’s body. However, as the men dug the grave, their discussion turned lethal, as they were dissatisfied with the paltry $10 payment and deciding that Silva was out of control. When Silva appeared with his wife’s body, the trio robbed and murdered him, burying his body along with his wife’s. After Silva’s death, the gang disintegrated. Chavez, Alarid, and Trujillo were eventually arrested for the murder of Maes and sentenced to life in prison.